Under-fermented yeast is used in Bjartur (a popular Icelandic given name meaning "bright") and the fermentation temperature is a bit higher than usual. This method gives the beer a rich, fruity flavor and aroma, pushed even further by the Styrian hops from northeast Slovenia. 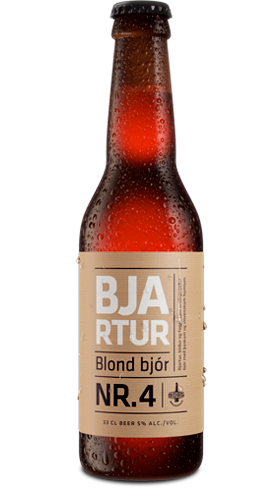 Bjartur is very complex and intriguing blonde lager without being either overwhelming or aggressive.